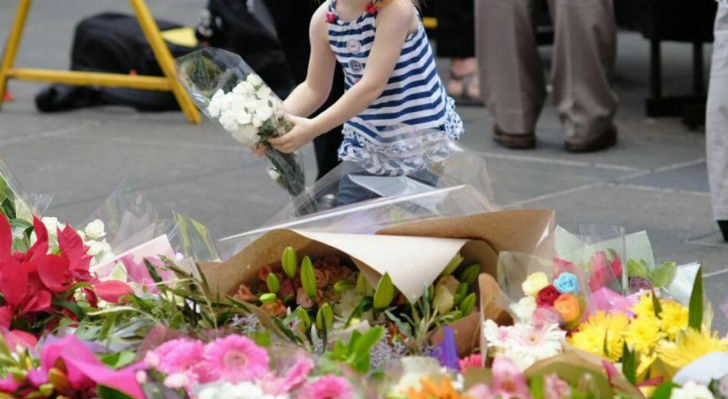 THOUSANDS of mourners continue to gather at the makeshift memorial in Sydney’s Martin Place following the horror siege which brought the country to its knees. The scene where it all unfolded in the early hours of this morning has been transformed into a floral shrine for the victims. Thousands of mourners of all ages have left bouquets, cards and candles at the sombre scene. Prime Minister Tony Abbott is just one of the many politicians who have also attended and paid their respects.